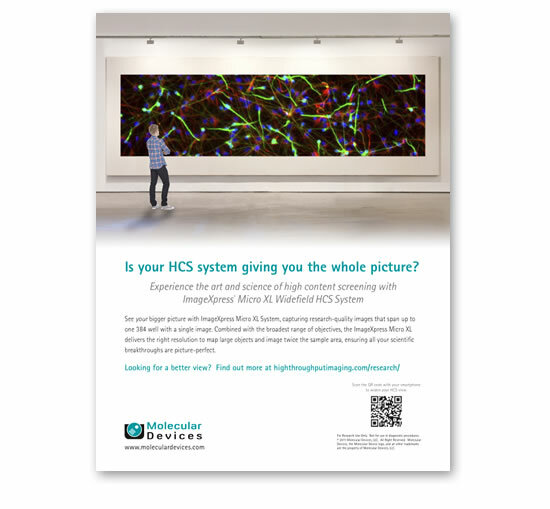 For the launch of Molecular Devices ImageXpress Micro XL high content imaging system, the client wanted to target two distinct market segments, Research and Screening. 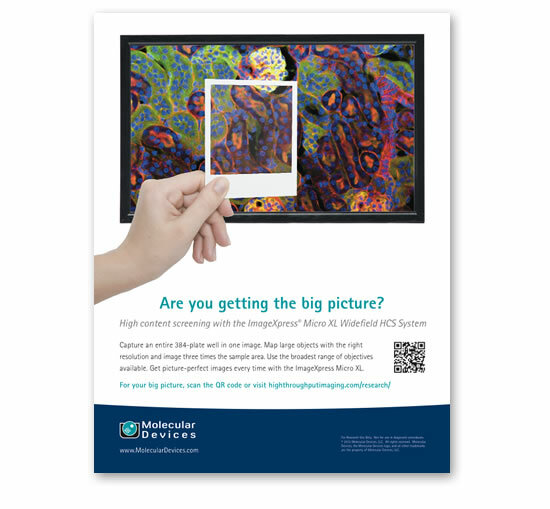 Working with the client to refine their positioning, we developed a distinct media campaign for each segment. 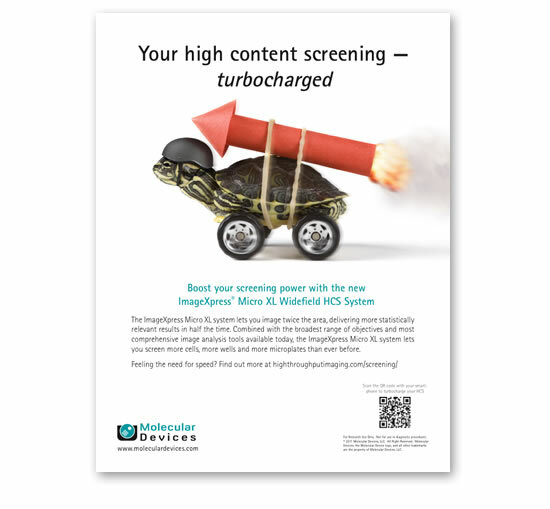 With time-to-result a major driver, the Screening segment’s “Turbo Turtle” ads focused on the increased speed of XL.